There is nothing quite as charming as a bright smile featuring clean, straight teeth. Unless you were blessed with the best characteristics of a winning smile, braces can provide you with what genetics could not. A pretty smile is just one positive result braces can provide. Braces not only produce a beautiful smile, they also bolster your overall dental health. • Straight teeth are easier to clean. Crooked and crowded teeth are difficult to properly clean and maintain, which opens the door for tooth decay, a leading cause of tooth loss. • Braces promote proper jaw alignment. A misalignment of the upper and lower arches of teeth (malocclusion) can contribute to an abnormal wear of tooth surfaces, and cause excessive stress on jaw joints. • Your wallet will thank you. 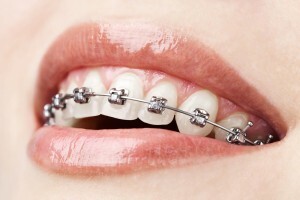 There is a stigma surrounding the cost of braces. Granted, braces are an investment, but one that pales in comparison to the additional care required to treat dental problems that arise due to untreated orthodontic issues. Braces were once considered an orthodontic procedure for children and young adults exclusively. This perception has changed, as now roughly 20% of those that wear braces are 21 years old or older. However, many of the aforementioned dental issues can be avoided if teeth are straightened at an early age. Most orthodontists prefer to examine children by their seventh birthday. This is an ideal age for examination as the first permanent molars and incisors have usually erupted by this time, and crossbites, tooth crowding, and other issues can be properly evaluated. If you haven’t yet explored the benefits of orthodontic treatment, contact Dr. Ciro Cabal at Lake Country Orthodontics in Lake Worth, TX. Our number is 817-236-7846 and we provide care for adults, teens, and children. We proudly serve Azle, Saginaw, Springtown, Weatherford, Haslet, Lake Worth, and surrounding cities.